Tooth Extraction may occasionally be necessary during adulthood as disease, injury and decay can cause problems with oral hygiene and overall health. 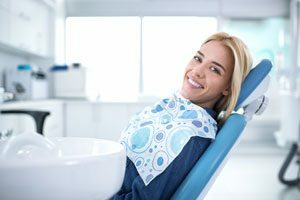 The dentists of New Image Cosmetic Dentistry in Vancouver WA have extensive experience and knowledge when it comes to tooth extraction and oral surgery. When Does One Need Tooth Extraction? One of the primary reasons tooth removal is necessary is to get rid of a diseased or decayed tooth. Allowing a decayed tooth to stay in the mouth can lead to infection and pain throughout the jaw. Extractions are used when simple fillings or more complicated root canal treatments are not appropriate. Teeth may also need to be pulled in other scenarios. For example, if gum disease has progressed to a point of loosening of the teeth, extraction may be necessary. In addition, pulling is occasionally used to address crowding of the teeth. Have a Question about Root Canals? Request a Call Back! Simple extraction: the affected tooth and surrounding gums are numbed with local anesthetic. The practitioner then loosens the tooth and pulls it out. This type of tooth removal is performed when the tooth is not stuck beneath the gums, or impacted by bone. Surgical extraction: the affected tooth and surrounding gums are numbed while the patient is awake. The patient is then given IV sedation or general anesthesia for comfort. The tooth will then be carefully cut out of the gums, and in some cases, cut from out of the bone as well. Surgical tooth extraction is typically needed for an impacted tooth or a molar that remains partially or completely stuck beneath the gums. Why Is Tooth Removal Beneficial? Although our dentists will most likely try to avoid pulling a tooth if possible, it can be beneficial in several circumstances. Preventing the spread of infection into the surrounding gums and bone as well as the rest of the body. Decreasing pain from a diseased tooth or the surrounding gums. Eliminating pain that is caused by an impacted tooth that is pressing on surrounding structures, such as nearby tooth roots. Extracting teeth is generally a simple process that comes with few risks for most people. Some individuals may deal with short-lived discomfort, such as dry sockets, following the process. However most people find that their pain is relieved and that their smiles become more functional. To ensure a complete and successful recovery, learn more about tooth extraction aftercare.